There has never been a better time for food manufacturers to examine how their products might best engage the fast growing market of health conscious consumers. Are your products ready for the reality of technology that can scrutinise food and beverage at a cellular level for its nutritional data? Scan your food, manage your health! 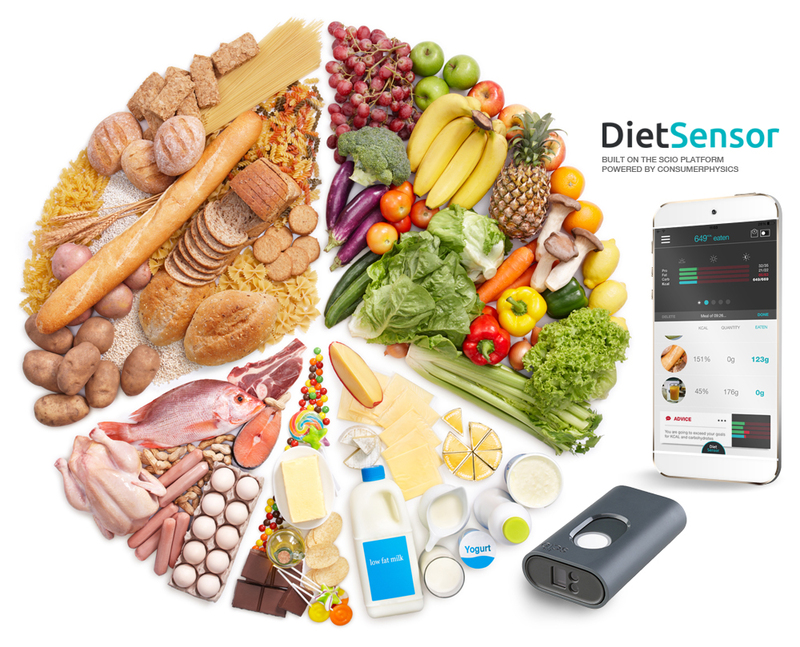 DietSensor is the first instant nutrition coach app with sensors that automates nutrient counting. Consider the findings of CSIRO’s 2015 Megatrends Report which found that access to up-to-date information and developments in technology are increasingly making supply chains transparent. Consumers are more willing and able to investigate provincial and beneficial claims leading to more scrutiny of products in general. Showcased at the recent Consumer Electronics Show (CES) in Las Vegas, and Honours winner of an CES Innovation Award, Remy Bonnasse, co-founder and CEO of Dietsensor, wants their product to mark the beginning of the next generation of nutrition tracking tools. 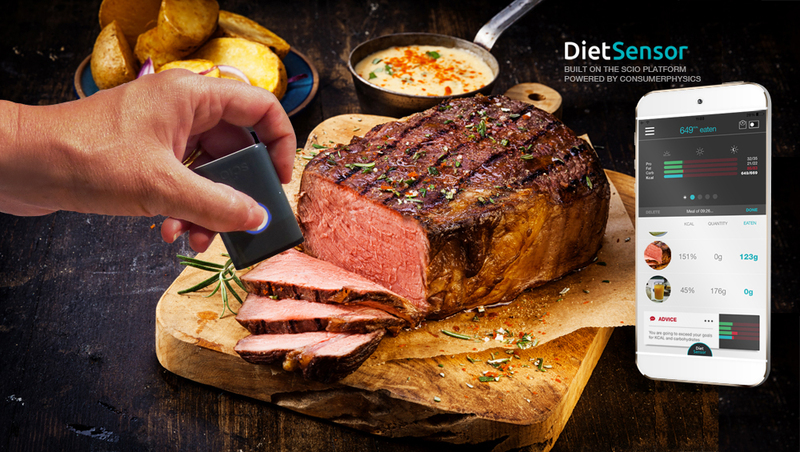 Paired with the new pocket-sized, Bluetooth-connected molecular sensor, SCiO, Dietsensor is a custom nutrition coaching app targeted at people who need to monitor their food intake closely. People who have nutrition firmly set as the number one driver for their food consumption choices. Remy, and his wife Astrid, came up with the concept in 2014 when their 9-year-old daughter was diagnosed with Type 1 Diabetes, which required her to monitor the carbohydrate intake of each meal and measure insulin. DietSensor’s primary objective is to facilitate food intake tracking to empower its users to follow and stick with their nutritional goals. Additionally, DietSensor gives real time suggestions each time you scan for maximum impact and optimal results. Depending on your pathology (diabetes, obesity, high cholesterol, etc. ), you will receive personalized recommendations tailored to your needs. The device will become available in the U.S. in mid-2016 and retail for $249. The app is free to download but requires a monthly $10 fee. The ready-meals sector, especially the fast growing healthy-choice home delivered meals are marketed on the promise of the brand and product integrity, that it does what it says on the label. Will a scan show otherwise? Will this technology and the scans it provides evolve to display more information, like the traces of pesticides, GM, or even cloned foods? Regardless, as it is now emerges into the market this technology is a fantastic tool for people who have to know what they are about to consume is the best possible choice for their individual pathological needs. Yet, it resonates with the greater trend that is currently redefining the food manufacturing landscape. More and more consumers demand a greater degree of transparency across the entire supply chain to show quality and ethics of ingredients used, footprint of process and distribution and ultimately the real nutritional value it adds to their lives. Wiley are motivated to explore events like CES where innovation and future thinking are some of the primary drivers. Not only the technology, it is the people, their knowledge, passion, and drive to make positive change in the world that really excites us. Where there are opportunities to explore possibility, revolutionise thinking and doing, and most importantly, connect people and food in a better way, there you will find Wiley.